Oceau Marine Isotonic Relief is a soothing cream based on seawater and St. John's Wort, dedicated to muscles, joints and skin care. Oceau Marine Isotonic Relief is a soothing cream based on seawater and St. John's Wort, dedicated to muscles, joints and skin care. This natural formula of the Oceau Marine range works to support different skin or joint spheres. It is the ideal balance to maintain the balance of the skin, good body mobility and functional joints. This cream has a strong support for joint pains due to arthritis, gout, dislocation, rheumatism, foot nodule. Also has a soothing effect on ishias, tendonitis, itching, winter feet and starches. The serum of seawater or seawater plasma used is isotonic seawater that is known to relieve many diseases. Isotonic seawater is rich in trace elements and minerals and is easily absorbed by the human body because the mineral composition is similar to that of our blood plasma. These properties allow the mineral deficiencies and the body's pH to be filled and rebalanced. This sea serum easily penetrates the skin barriers to enrich and treat specific areas. Oceau Marine Isotonic Relief is therefore composed with St. John's wort, this plant has been known for 2400 years for its many medicinal benefits. The use of St. John's Wort is widespread, both for internal and external use. It reduces muscle pain, relieves toothache, but also treats and restores skin lesions such as burns or wounds. This plant is also an emollient for the skin. Ideal for insect bites, itching and irritation. Relaxes in application on the solar plexus and the neck. Apply the cream to the body part to be treated. Wash hands before use and allow to dry properly. Store at room temperature (15-20 ° C). Do not expose to direct light. It is recommended to apply the cream on dry skin free of other products. Do not apply to young children, pregnant or breastfeeding. Do not apply for a sunbath. Do not apply to the eyes and their immediate circumference. Aqua, Hypericum flower extract, Aqua maris, Cetearyl alcohol, Stearic acid, Glycerine, Hypericum perforatum flower extract, Olea europea fruit oil, Potassium sorbate, Citric acid, Tocopherol. 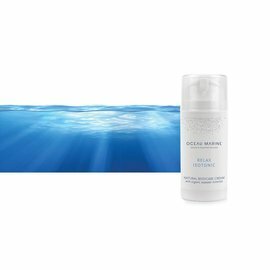 From the beginning OCEAU MARINE has made it a matter of honor to make products that are worthy of your skin and this has prompted them to focus on seawater as the active ingredient for cosmetics. The combination of scientific research and brand expertise guarantees both comfort and nutrition when you use the natural treatments of OCEAU MARINE. One of the many properties of seawater is to supply the minerals and trace elements that the skin, the largest human organ, needs to function properly. The composition of seawater is similar to that of the liquid in our cells, which makes it remarkably compatible with the human body. Seawater provides the minerals and trace elements that the skin needs throughout life and this makes OCEAU MARINE a universal reference, research has led them to add plant extracts to some of the original products, creating specific properties that make the overall improve well-being. 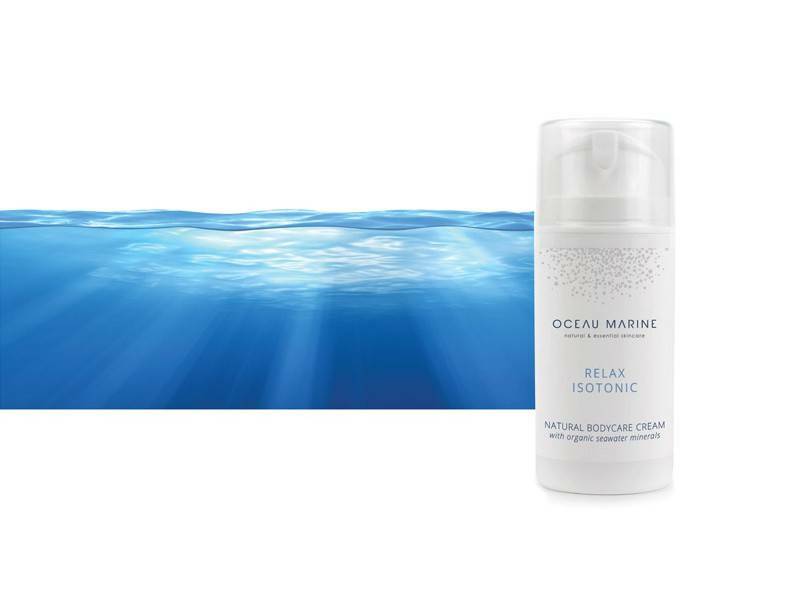 OCEAU MARINE ISOTONIC RELIEF at NATURAL BIO STORE!